The average price for this game in the past 6 months is $12.73. The game first became 50% off on Jul 24, 2017 at WinGameStore. Lowest historic price was $7.97 on Jul 18, 2018 at Green Man Gaming. New historic low price on Prey - at only $15.60, this is the cheapest we've seen yet for the Steam copy of the popular horror FPS title. Currently there are a number of Bethesda sale across the web and GMG has it at the lowest price. If you never got around to picking up Prey during Winter Sale last year - this $17 deal from Fanatical is fairly close to season sale price (and historic low). If you're patient enough, you can try waiting for Spring Sale to see if it drops back to the $16 level. Last chance! This summer's release of Prey is now only $16 at GamersGate Black Friday sale. This completely beats pricing at all other digital retailers online. If you've ever enjoyed System Shock 2 and similar games, this title is can't miss. Missed lowest price Prey (the digital copy anyways) during GMG's Halloween sale last week? GMG has it back again for $25. If you want the absolute cheapest though, the PC physical copy will likely be $20 again during Black Friday 2017. Through next week Tuesday, pick up Steam copy of Prey for only $26.79. This is close to lowest ever price and is a strong discount for a great horror FPS title. Steam key. The average price for this game in the past 6 months is $8.43. The game first became 50% off on Nov 23, 2018 at Green Man Gaming. Lowest historic price was $8.36 on Dec 24, 2018 at Green Man Gaming. Lowest ever price on Prey Mooncrash DLC expansion. You'll have to head to the coupon page to get an additional 15% off code for Bethesda title. If you enjoyed Prey, this adds tons more content for $8.50. New historic low price on the well reviewed Prey Mooncrash DLC expansion. At only $12.74, this is the lowest the DLC has been discounted since its release earlier this Summer. On sale at almost all digital retailers during Quakecon but GMG has the best price as of writing. The average price for this game in the past 6 months is $12.50. The game first became 50% off on Jul 3, 2017 at NewEgg. Lowest historic price was $9.99 on Nov 20, 2018 at GameFly. The average price for this game in the past 6 months is $17.99. The game first became 50% off on Jul 3, 2017 at NewEgg. 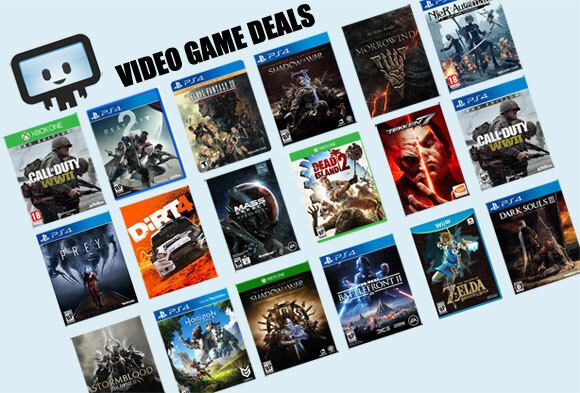 Lowest historic price was $12.99 on Nov 8, 2017 at GameFly. Gamefly has pre-owned copies of Prey on PS4 and Xbox One for $13 with free shipping. That's the lowest price we've seen the game by $5. Cheapest in new condition is $27. Still available at Gamefly - the excellent horror FPS exploration title from Arkane Studio is only $18 for the PS4 or Xbox One used copy. Shipping is free. Prey on the PS4, Xbox One, and even PC (physical disc) is down to $25 after coupon at NewEgg. Even after a $3 shipping charge, this is still the lowest price ever by $4. Solid price on a solid AAA action/suspense title from Bethesda. Prey on the PS4 and a PC disc down to $30 + $2 shipping at NewEgg now after coupon. Even after the shipping cost this is a historic low by a buck. You've got t-minus 3 hours to jump on this Prey lighting deal for the PS4. Historic low by $3 for Prime Members. Limited quantity, so it may not even last its full allotted lightning deal time. The cheapest we've seen Prey for the PC digital copy was at about $16.70, so by all accounts this is a new historic low for the PC version of the game. Also available on the PS4 and Xbox One for the same price. This is a great deal if you've always wanted to try Prey but didn't want to pay near list price. The average price for this game since released is $29.89. The game first became 50% off on Jul 3, 2017 at NewEgg. Lowest historic price was $14.99 on Mar 20, 2018 at Amazon. Missed the deal on Prey from GMG? You can grab it for even cheaper thanks to this Newegg deal on the PC DVD copy for only $20. Shipping is $3 but this still beats the historic low price of $25 on the digital Steam copy. (Yes, Steam key is included in the physical copy). Now through August 20 Prey is only $24 + $3 shipping at NewEgg. Historic low by a buck for the May 2017 AAA Bethesda release. Last month's Prey is now 33% off across the board on the PC, PS4, and Xbox One during Best Buy's weekly sale. Have GCU? Pick it up for another 20% off at only $32. Free shipping or store-pick up. One of the cheapest way to get a Steam copy of Prey for cheap as of writing.